Warren Magee impressed in his first full season at AA Reading. In 42 outings, 11 starts, the 22-year-old posted a 3.73 ERA, picked up six wins to six losses and threw two complete game shutouts. He pitched well enough to get the notice of the top brass in Philadelphia as they placed Magee on the club's 40-man winter roster that November. Magee, though, couldn't keep it up. He pitched in two more seasons at Reading. He never made AAA or the majors. 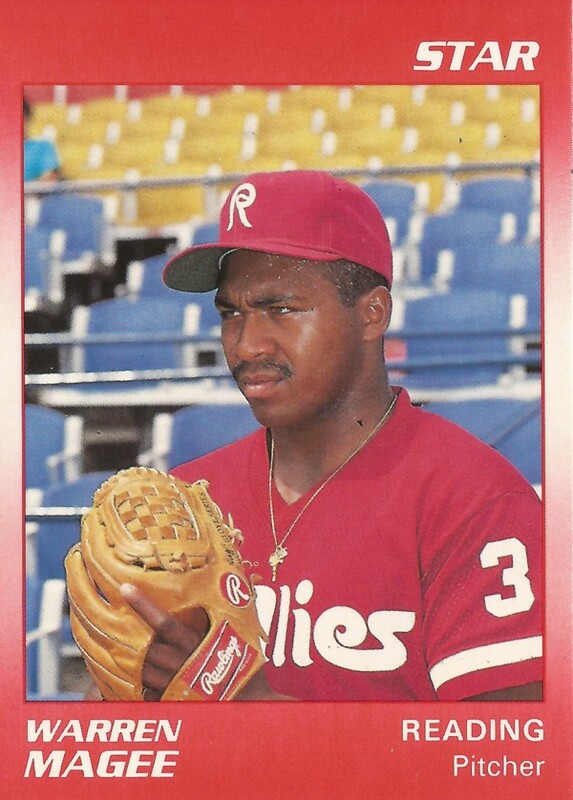 Magee's career began in 1986, signed by the Phillies as an undrafted free agent out of Ferrum College in Virginia. 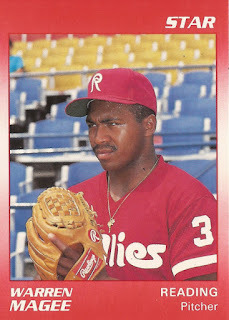 Magee started with the Phillies at short-season Utica. In 24 relief outings, Magee had a 4.12 ERA. In one early game, Magee threw 5.1 innings of relief and stuck out eight in a Utica win. Magee split 1987 between single-A Clearwater and AA Reading. Between the two levels, he went 10-9, with a 4.07 ERA. He then kept returning to Reading. He played the next three seasons there. In 1988, he had that 3.73 ERA that led to a spot on the 40-man. In 1989, though, he got into just 20 relief outings. His ERA also came in at 7.90. In 1990, he got into 19 final relief outings. He had a 5.36 ERA, ending his career.